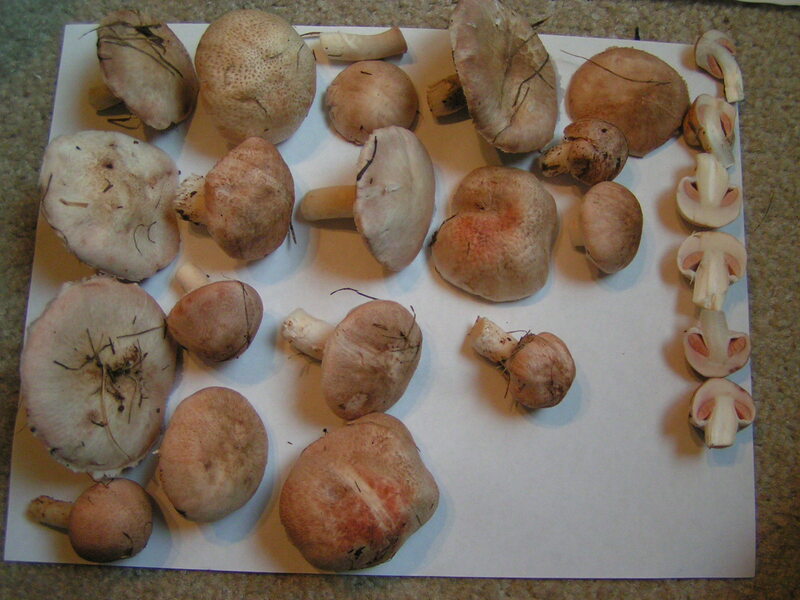 Oodles of Agaricus campestris (brown-capped variety) now all in the dehydrator. 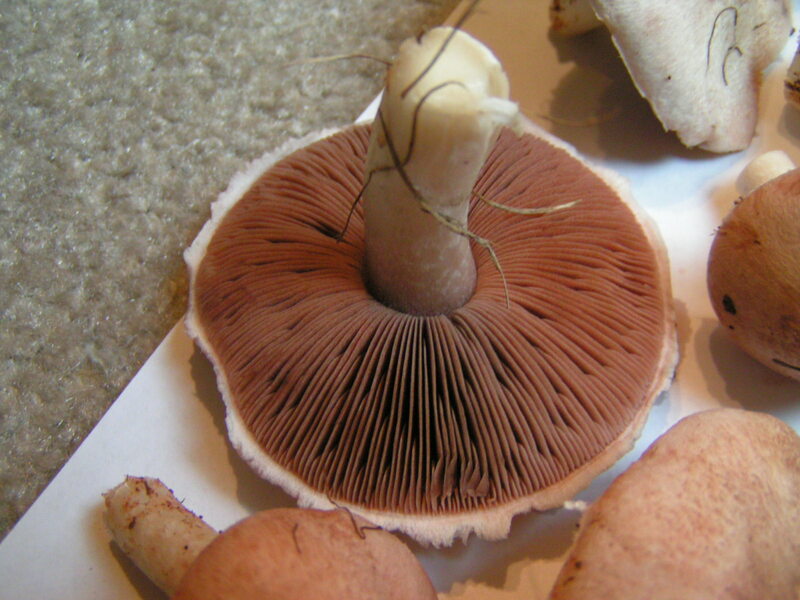 It was also so moist outside that some of them had drops of “blood” on their gills (that’s something I’ve only read about it in field guides about them before) which were also a beautiful bright-pink to chocolate. 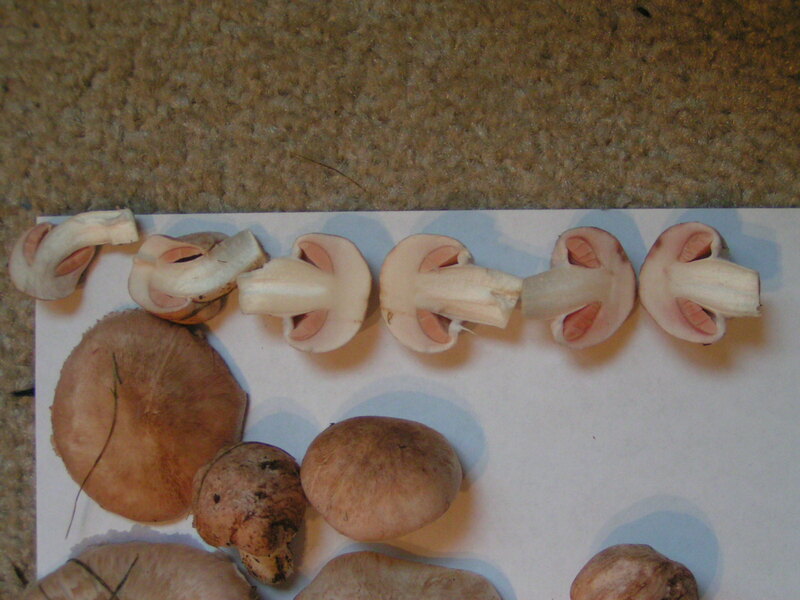 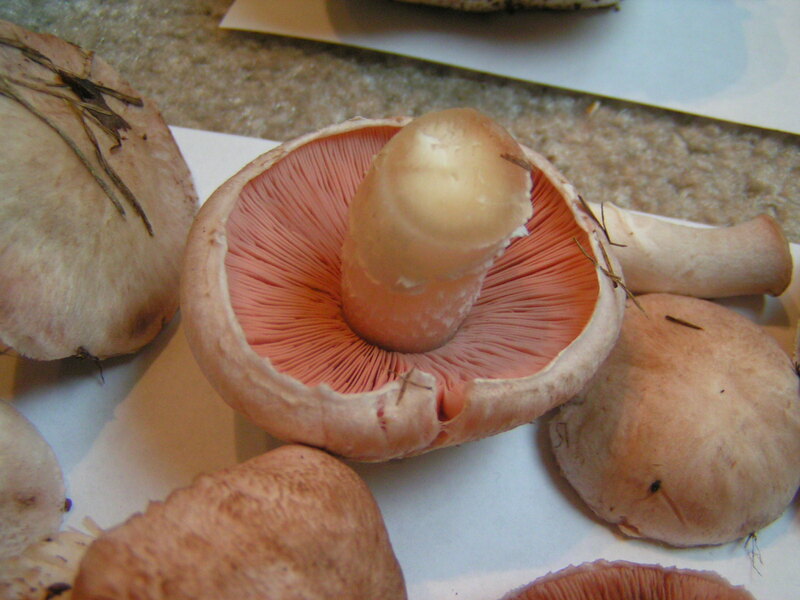 As such, you’ll notice some pink “blood stains” on the caps where I stacked the mushrooms on top of eachother.